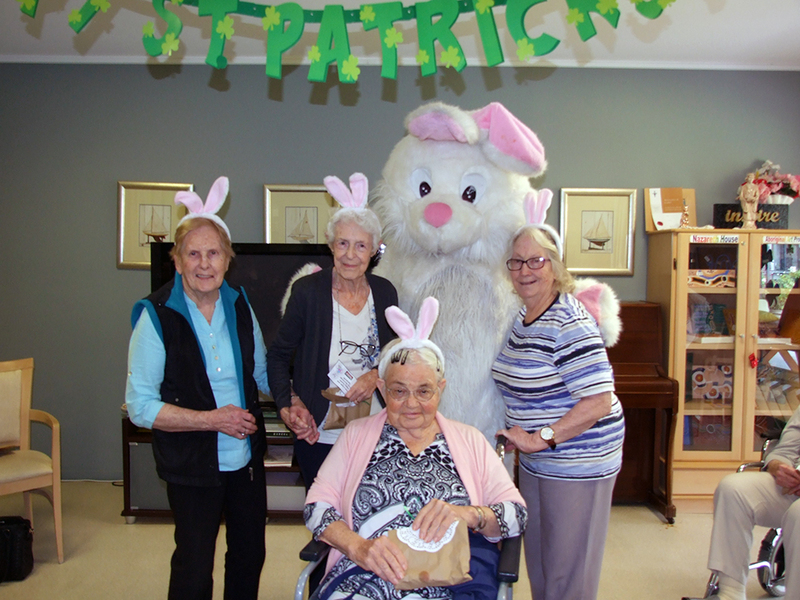 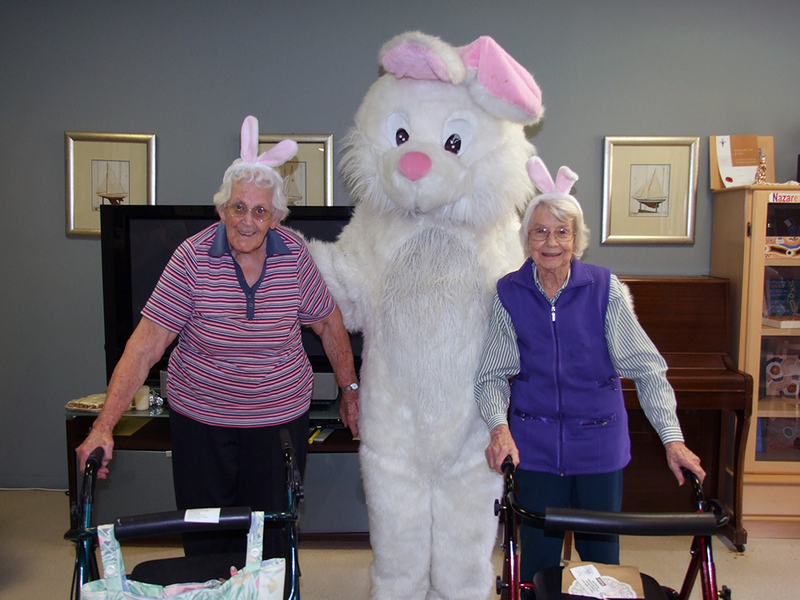 The residents had a early visit from the Bunnings Easter Bunny on March 27th. 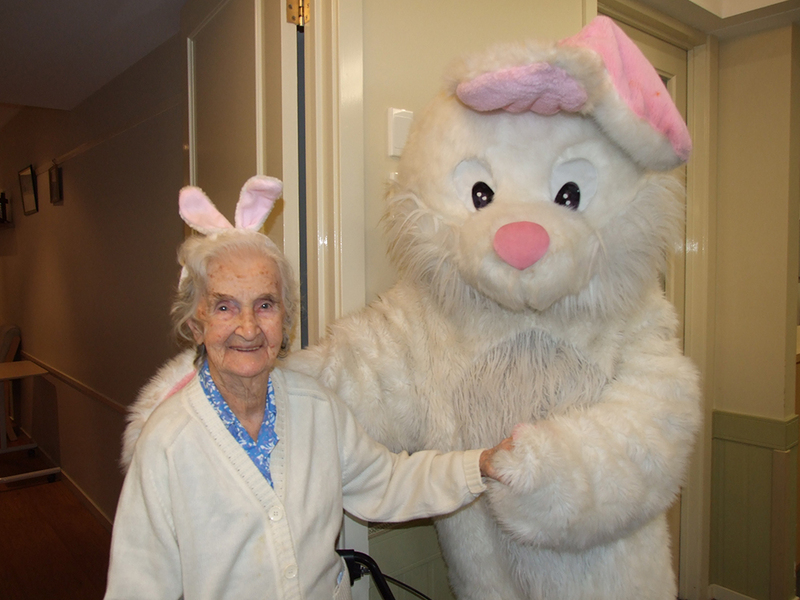 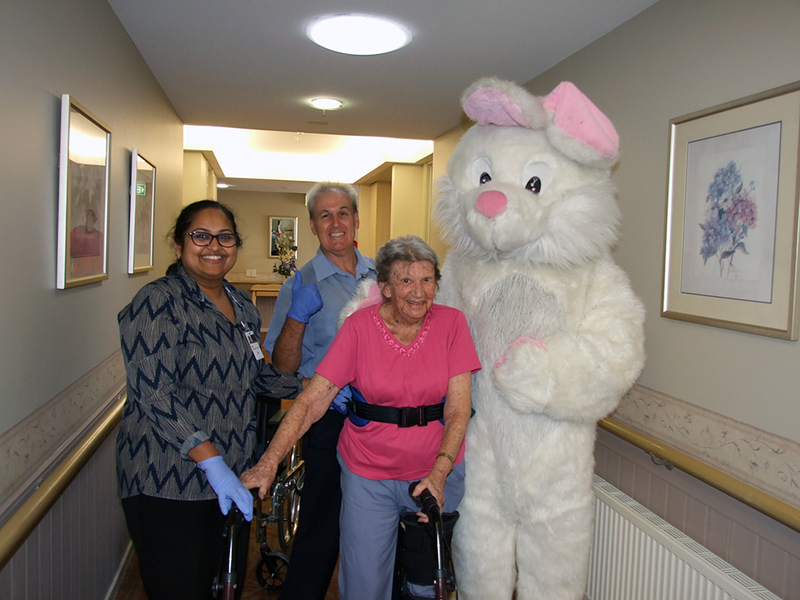 Easter Bunny was well received by our delighted residents and brought along a bag of Easter eggs for each resident and received lots of cuddles and requests for photo’s with him. 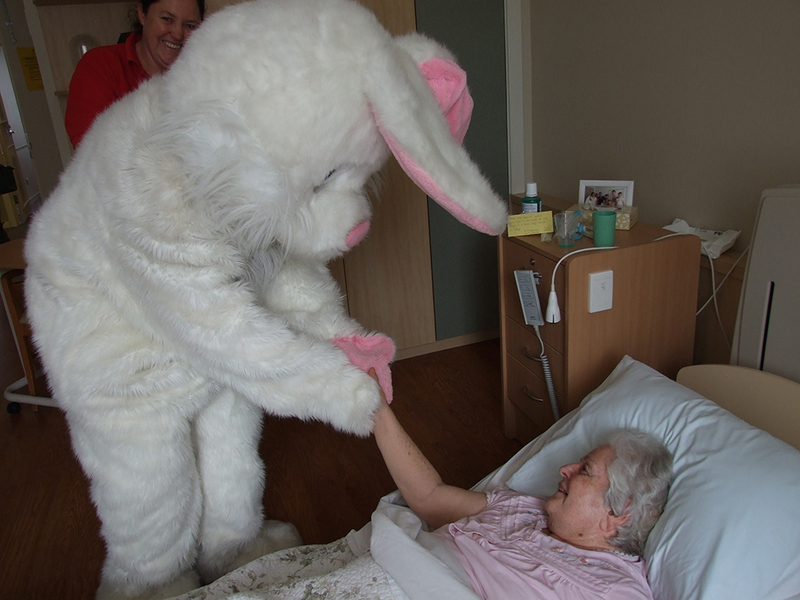 A huge THANK YOU to Bunnings and their staff for very kind gifts of Easter eggs and the visit.